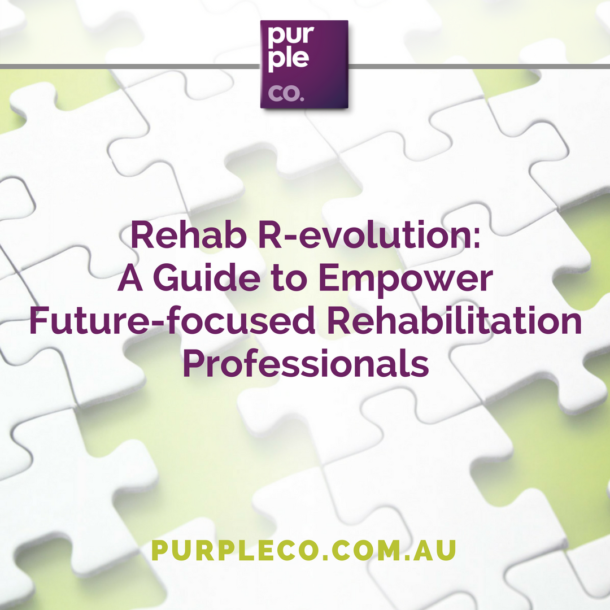 I know you’re unsure, I know you’re uncertain and probably somewhat skeptical of what rehabilitation can offer you. After all, it wasn’t that long ago that you were in control of your entire life, and were making decisions about going to work, looking after your family, participating in sport, playing music, looking after your kids, spending time with your friends and going on holidays. And then, suddenly, some health event has rendered you unable to make decisions regarding your own health, your employment and how you live your life. For many rehabilitation clients, there is a significant amount of loss involved and a big period of adjusting to a new way of living. We understand that. So what is it that you should expect from us? Well, understand that we are not you. You need to take control here. This is about your life – not about us doing something to you. Unlike the other treatments that you may have participated in, maybe surgery, hospitalization or active treatment, this is not about something being done to you, and nor should it be. This type of rehabilitation is about you partnering with professionals to help you take back control of your life. It’s about helping you realise the possibilities that you have and putting an action plan into place based on the decisions that only you can make. Now I know at times, it will feel like a third party payer or even your rehabilitation consultant has a different agenda than your own. Please understand that isn’t our intention. We’re just not very good at explaining why we’re so focused on helping you return to work. You see, returning to work , work capacity, functional upgrading and all those words and phrases and acronyms we use actually have, at their core, your best interests at heart. What we know as health professionals is that good work is good for our health. And good work, just like it’s good for my health, is good for your health too. What we know is that work gives us so much more than just income at the end of the week. We know from the research all of the benefits that good work gives us. But what work really gives us is choice. And as a client in the rehabilitation process, it is my understanding that much of your choice has been taken away. Your insurance company, your doctor, your psychologist and other health professionals are working to help empower you to make choices. And that is our aim too. We want to empower you to feel like you can make choices again, and we understand that work is the most significant way we can help you do that. When you are at work, you feel like you have a purpose. When you are at work, you know you are contributing. When you are at work, you are earning and income and making a difference. When you are at work, you give your children something to be proud of. Work is just that important. And again, this is why we, as rehabilitation professionals, will continue to suggest, even push (maybe nudge is a better word) you to move towards working again. I understand that it’s frightening and fraught with uncertainty, and that you’re unsure about what the future holds. That is why you’re not in this alone. And that is why rehabilitation professionals have chosen to this job. You see, rehabilitation professionals are health professionals who have chosen this line of work very deliberately. We’ve chosen this line of work because we want to help you make the choices that we know will create a lifetime of possibilities and opportunities for you and your family. So next time you are asked “have you upgraded yet?” or “how close are we to getting back to work?” try not to recoil in fear or frustration, but understand that beneath our (not so subtle) question is our commitment to helping you get to a point in your life where you feel like you are back in control of your health, your work and your life.